Etihad Airways Engineering, the largest commercial aircraft maintenance, repair and overhaul (MRO) services provider in the Middle East, have just received two prestigious honours at the Aviation Business Awards 2018 held in Dubai on Tuesday 9 October. The ‘Unsung Hero of the Year’ and ‘Engineering Innovation of the Year’ awards recognise the company’s achievements in the past 12 months, by a panel of aviation industry experts. The technology features a highly integrated onboard network, consisting of a dual band Ku-Ka antenna and a new generation technology broadband satellite network, and can handle up to 200 Mbps of traffic. This technology is expected to be in operation in 2019 and will provide airlines with the technological ability to offer a true broadband user experience for all passengers on board. 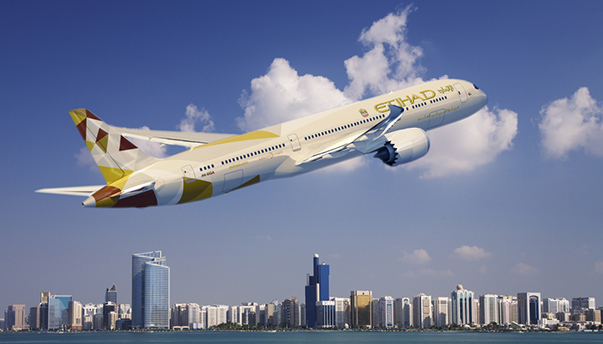 Etihad Airways’ Technical Training team was Highly Commended in the ‘Training Provider of the Year’ category for its state-of-the-art training facilities and an extensive training programme. In addition, the technical training team runs a UAE National graduate training programme, which boasts a high number of Emirati females, and develops local talent in the field of aviation engineering.